With an expanding business Colets Piling Limited is always looking for dynamic individuals who wish to pursue a career in the piling industry and are constantly looking to enhance the capacity of our teams in all 3 area offices as well as our on-site teams. If you feel that you have something to offer and are looking for a challenging and rewarding career, please do not hesitate to contact us for further review. In return we offer a competitive salary, bonus scheme, paid holiday and will provide further training and courses for the right individuals. Please feel free to complete our on-line application forms and we will look forward to contacting you. Due to expansion of our existing depot with adjacent office facilities which we have taken over, we plan to open a new office from 1-2-2019. 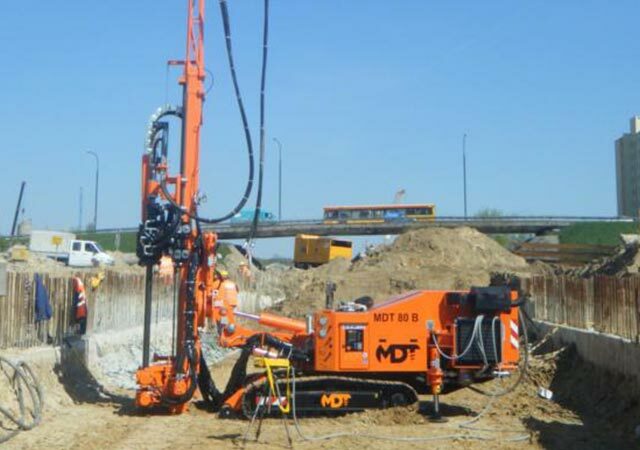 Mini Piling Rig Drivers required to operate MDT, Hutte 203 and EGT rigs for work in London and surrounding counties. Must have as a minimum blue CPCS competence card with Piling Rig – Bored below 20 tonnes category.